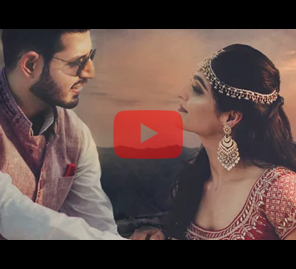 What happens when the classic ‘Boy meets Girl’ happens in an arranged marriage setup? Experience may tell you that there’ll be initial apprehensions and awkwardness. But, when Sanjana met Akash sparks flew! And it was this relaxed camaraderie and crackling chemistry that cinematographer Amardeep Singh Nagi depicts in this same day edit film shot by Editmaster Weddings. Amardeep knows such an important journey is worth going the extra mile and he does just that as he captures funny anecdotes from the couple’s close friends and family. Most of the frames are Bollywood-esque with requisite dialogues used to introduce Sanjana and Akash's unique love story. There’s glitz and glamor as well, deftly interspersed with the true essence of the celebration of this couple’s union. 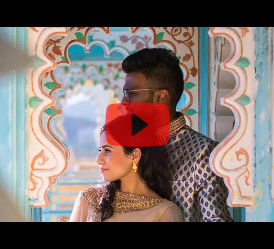 From silly moments to stylish ones, each frame exudes depth and finesse and gives this wedding film the same thrills as a live concert. It’s a delight to watch and ultimately, the truth evident in the couple’s love and the love of their families make this a compelling romantic film that you’ll find yourself returning to, to enjoy again. 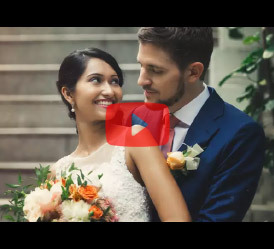 If you are looking for best of Wedding Photographers/ Videographers, check out our curated list of WeddingSutra Favorites.